Is Viognier the David Paymer of the Wine World? It's Memorial Day weekend- a holiday that always seems to sneak up on us. Smart people are sipping Cape Cods on Cape Cod- we're enjoying a quiet weekend at home. With temperatures getting warmer thoughts drift towards rosés, whites and juicy reds. But the value hunter is always looking for wines of value regardless of season. I attended an Oregon wine dinner at Blue Ginger recently that included a lot of Pinot Noirs from the highly-anticipated 2008 vintage. 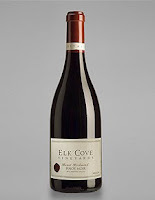 I've been a big fan of Elk Cove's entry level Willamette Valley-designated wine for a while (the 2008 Willamette Valley hasn't been released yet) but their single-vineyard wines really impressed me. This Mount Richmond just received 94 points from Wine Spectator and carries a release price of $48. A bargain at $36.99. Limited availability- ping @WineCellarsMA on Twitter to check stock. Where: Wine Cellar of Stoneham inside the BJs Warehouse, Stoneham, MA. No membership required to buy alcohol. I spotted this one in a recent Wine Spectator Insider (subscription required). They released ratings between 90-94 points on a bunch of Amarones ranging in price from $31 to $340. I'll take the $31/90 point one- thanks. 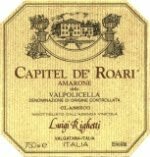 I did a Wine-Searcher.com search but didn't find this wine in MA, but it's just arrived at VinoDivino at $35. I'm just getting into Amarone but I thought this one I tried from Bin Ends Wine was fantastic. $35 for a 90 point red wine might not seem like a big deal, but Amarone is a pricey category. Reminder: Massachusetts laws prohibit liquor stores from being open on Memorial Day and some shops are closed on Sundays so stock up today. Question of the Day: Any good deals you're chasing this weekend? Share the wealth in the comments section!